The PrannaTimer was created for meditation. 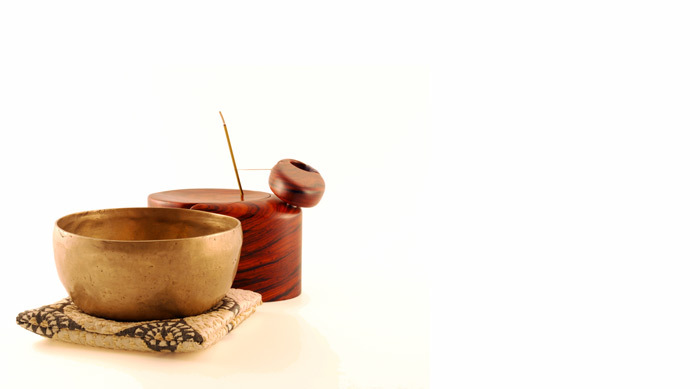 Incense has played a role in timing meditation for centuries, and so have the singing bowls of Tibet and Nepal. Our timers are simple and elegant, use no batteries or electricity and are made of beautiful hardwoods. Stone and Wire Loops are back in stock in the Accessories section. We also have some timers by Guest Artist Sid Trest for sale in the Shop. Thanks for visiting PrannaTimer! If you are interested in meditation, don't forget to check out the Pranna Blog! We're sharing meditation insights in this new section. Or come join the conversation on Twitter at @prannatimer !